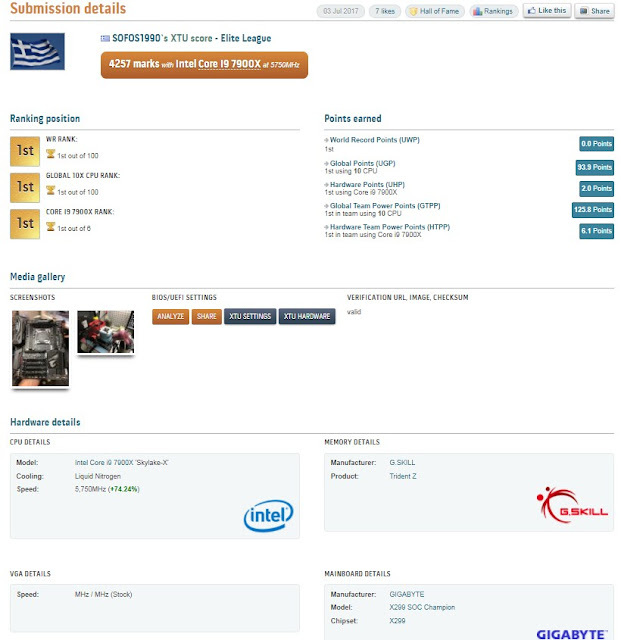 GIGABYTE X299 platform is looking incredibly strong with 5 World Records broken as well as 27 Global First Places! Sofos recently posted the Big Mac of all records, XTU World Record, using Intel Core i9 7900X and a GIGABYTE X299 board. 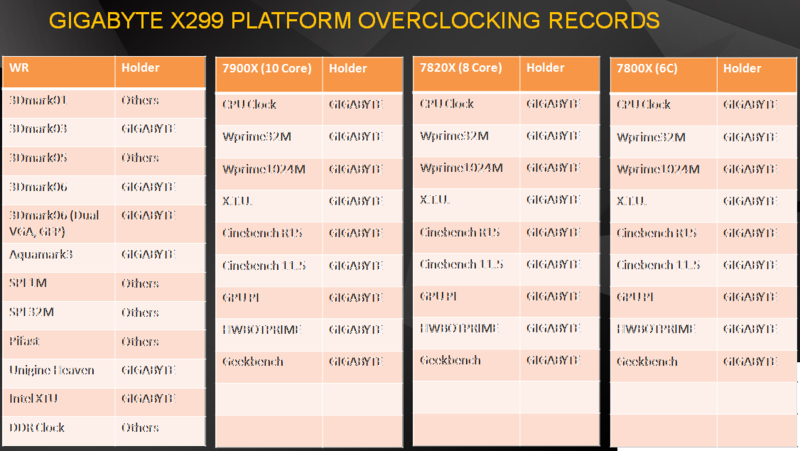 GIGABYTE is setting the bar very high for its competitors with a dominant five world records and twenty seven global first places on GIGABYTE X299 platform well over a month from original platform launch. This means that the scores have reached a peak and by this time we get to see the scores solidify and gives us an opportunity to see who's got the best platform available on the market. 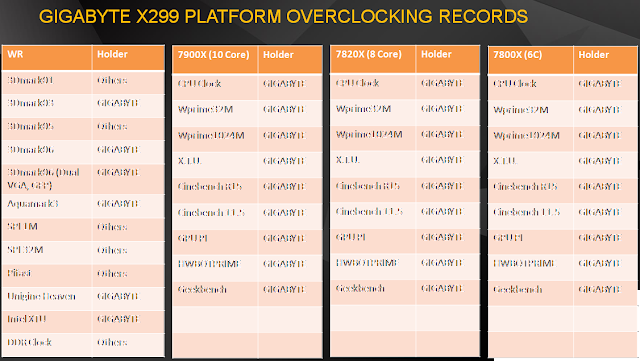 Enthusiasts worldwide who expect the best performance are now pushing the X299 platform to the max and while overclocking isn't for everyone, the records do show GIGABYTE X299 motherboards are leading the way and are best choice of hardware to power your next overclocking, gaming, video editing, VR and any other high performance PC you dream of! XTU WORLD RECORD FROM SOFOS1990!